The Green Retreats Group is formed of three garden room brands: Green Retreats, The Garden Office & Garden Studio. The Garden Office product ‘TGO’ has been one of the most popular garden buildings since entering the market in 2006. 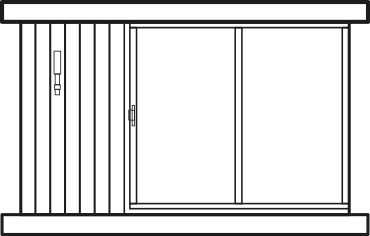 The Garden Office range uses traditional materials with modern composites to give a unique style with accents of black or graphite. The single product offering from The Garden Office (abbreviated to ‘TGO’ over the years) has been a huge success. We’ve installed thousands, each with their own unique use; from garden offices and studios to garden gyms and outdoor school classrooms. 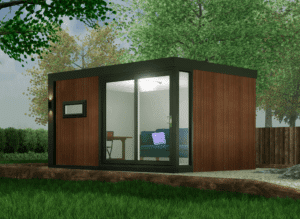 Due to the popularity of the TGO product, we have decided to launch a brand new garden office range within The Garden Office, including the TGO-2 and TGO-3. 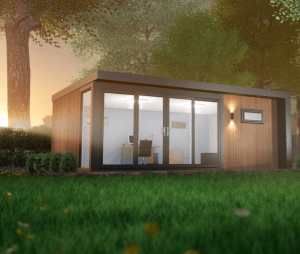 Due to the popularity of our TGO garden office product, our product development team have been working on brand new concepts to add to the range. This also means we’re renaming our TGO garden office to the TGO-1. Our original design, the TGO-1 is a modern classic. Stylish graphite or black detailing adorns the hooded roof of this design. The TGO-2 offers the most practical space creating solution with a compact & contemporary exterior and internal living space to its edge. Design-led & distinctive, the TGO3 features a 3/4 enclosed deck, side & hood to create a dramatic sheltered front frame.